Describe a hot tub to someone and ask them what it is called and you could get a variety of answers. 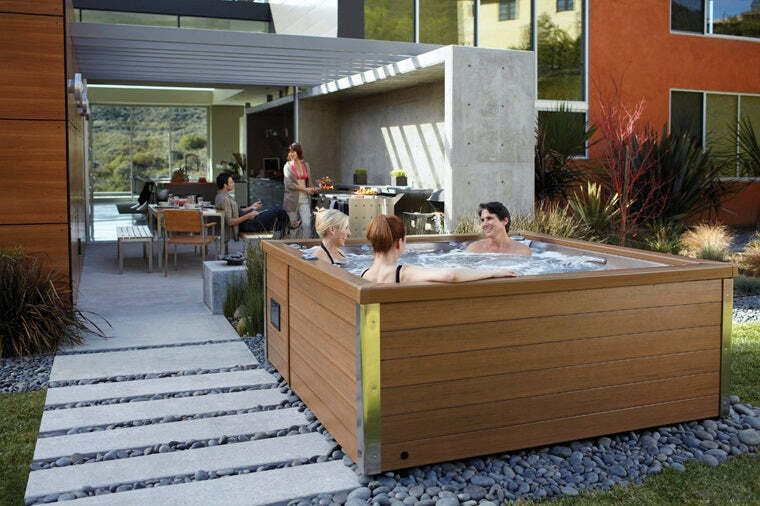 Some will say hot tub, others will call it a Jacuzzi or Spa or even (incorrectly) a Whirlpool Bath. Although people often use these terms interchangeably they don’t all mean the same thing, so we’ve put together this guide to explain each term and how they differ. So, what is the difference between a hot tub and a Jacuzzi? 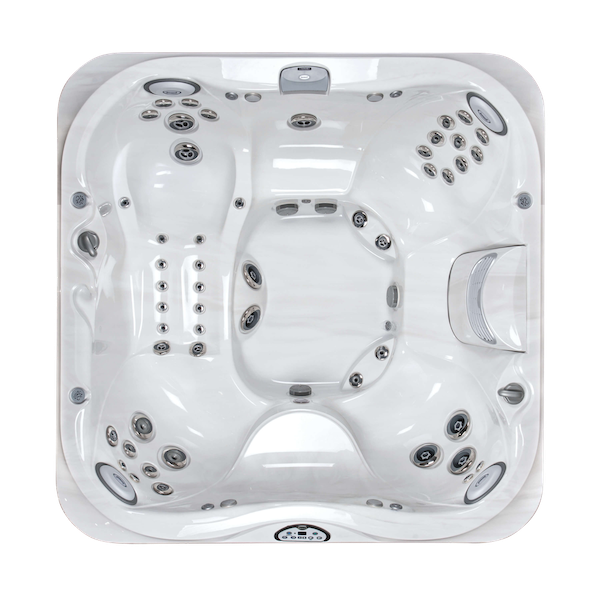 Simply put, Jacuzzi is a brand which makes hot tubs. They are definitely the most well-known Hot Tub brand but they aren’t the only one. 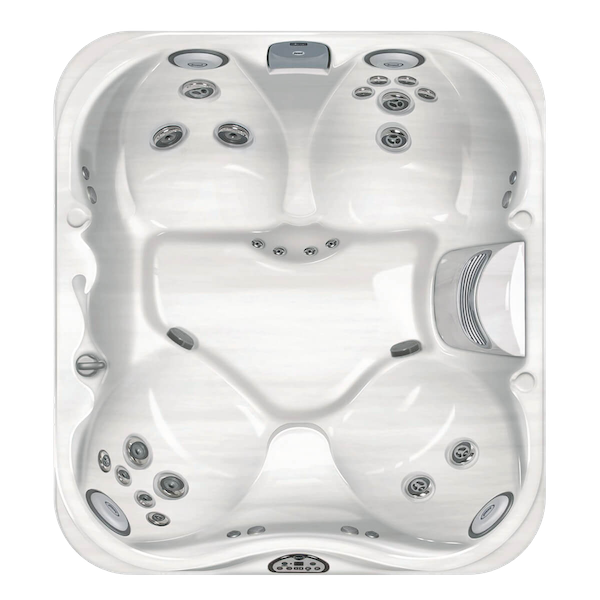 We stock Jacuzzi branded Hot Tubs as we as our own Just Hot Tub range. 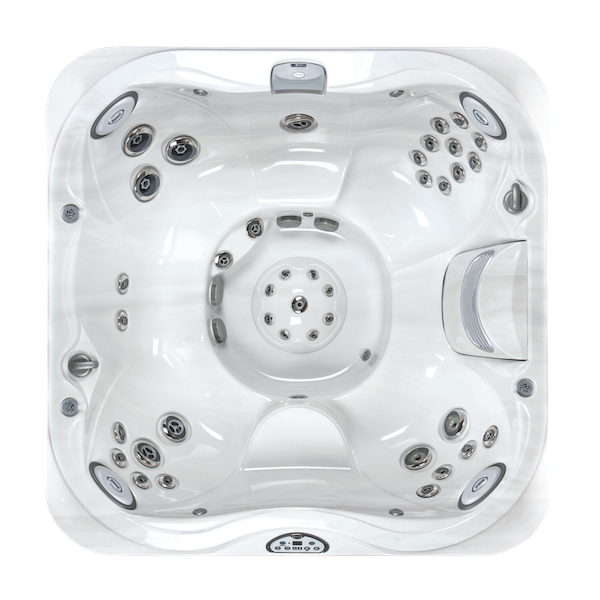 To dig a little deeper and understand which the Jacuzzi brand name is as well-known as the product they sell it’s useful to understand the history of the brand. 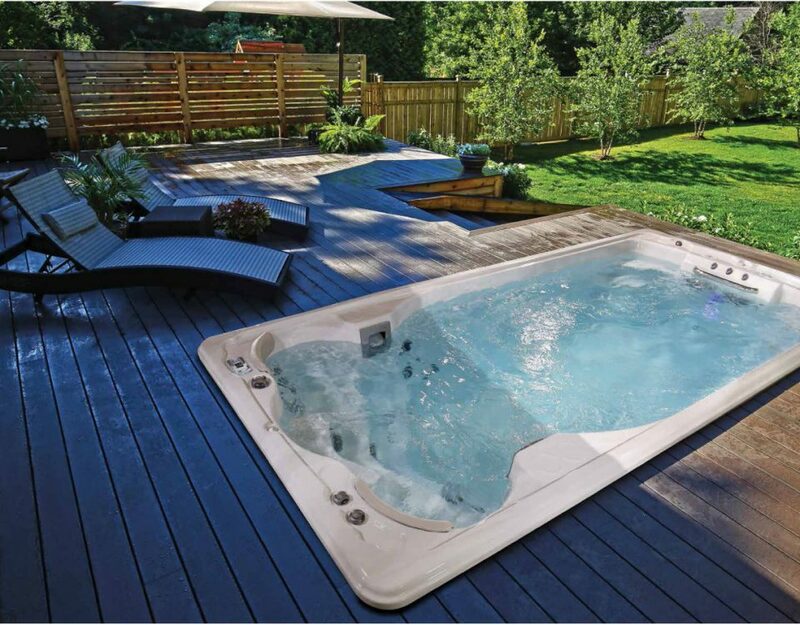 The hot tub as we understand it, with a stand-alone fibreglass shell, was first sold in America in the 1970s. 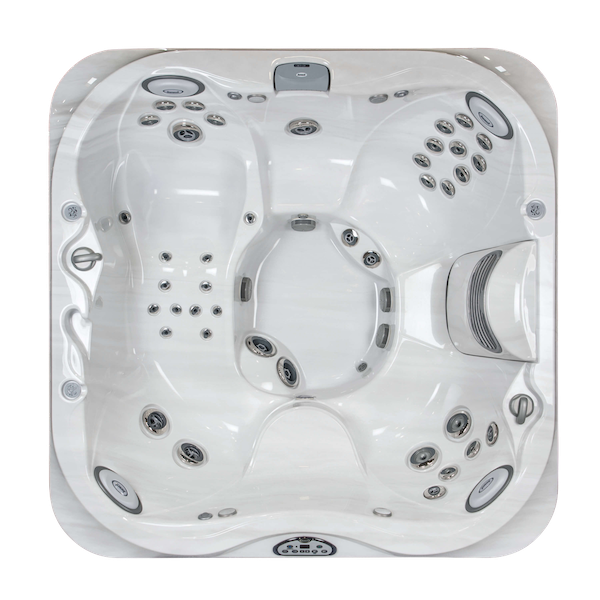 By this point the Jacuzzi brand had become synonymous with hydrotherapy devices thanks to years of innovation. The Jacuzzi brothers had been selling hydrotherapy pumps, which were placed inside a standard bath to treat those with arthritis, since 1956. We even have one of these early pumps on display in our Exeter store! 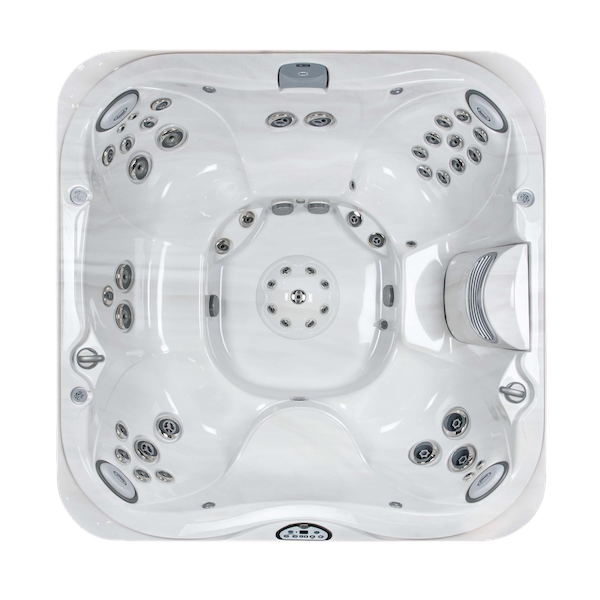 As hot tubs became more and more popular people often referred to them as Jacuzzis in much the same way the brand name Hoover became synonymous with vacuum cleaners. This continues to this day – often those looking to buy a Jacuzzi are surprised to learn that this is actually a brand name. 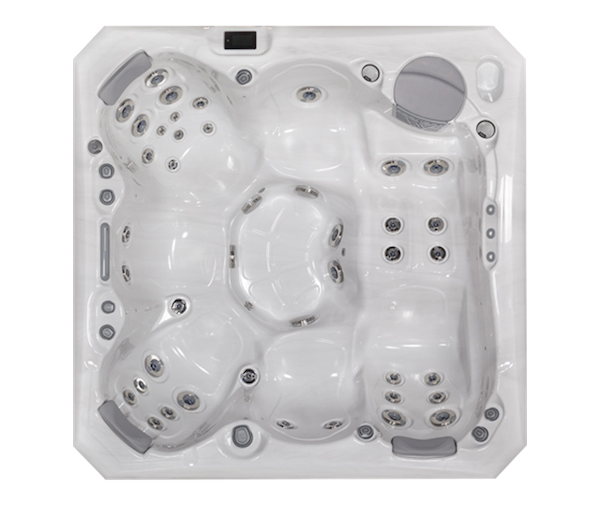 Jacuzzi has its own patents and unique technologies but ultimately a Jacuzzi is still a hot tub. 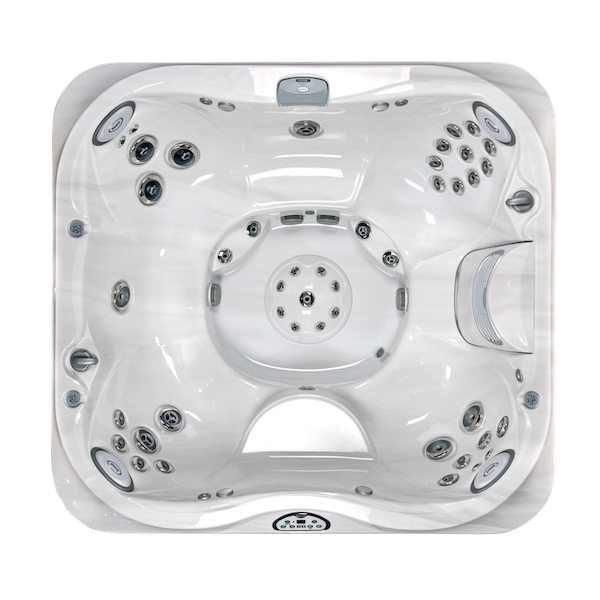 Jacuzzi has a great reputation based on decades of great quality products so they’re a great choice but there are other reputable brands worth considering too. 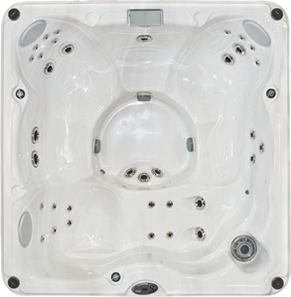 Like Jacuzzi, the name spa is often used to describe hot tubs. 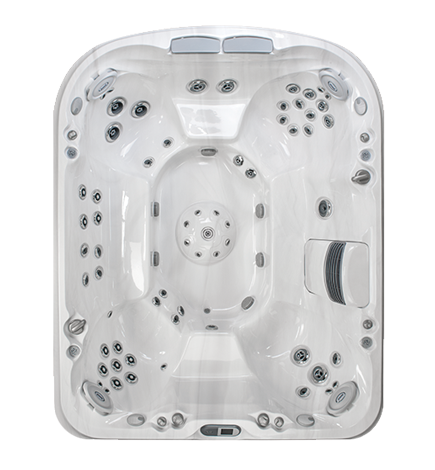 Tubs which pump air, as well as water to provide a massaging effect, are often referred to as spas. This can get confusing as some people think of a spa as a place you would visit which would have saunas, swimming pools, treatment rooms etc. We find that the term hot tub leads to less confusion. 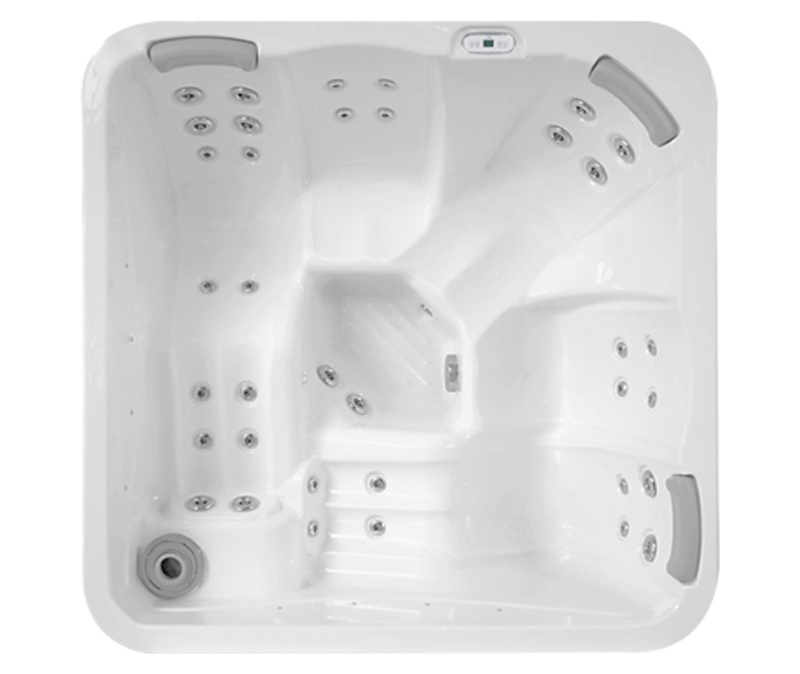 A whirlpool bath is different to a hot tub or a spa as it is drained between every use. 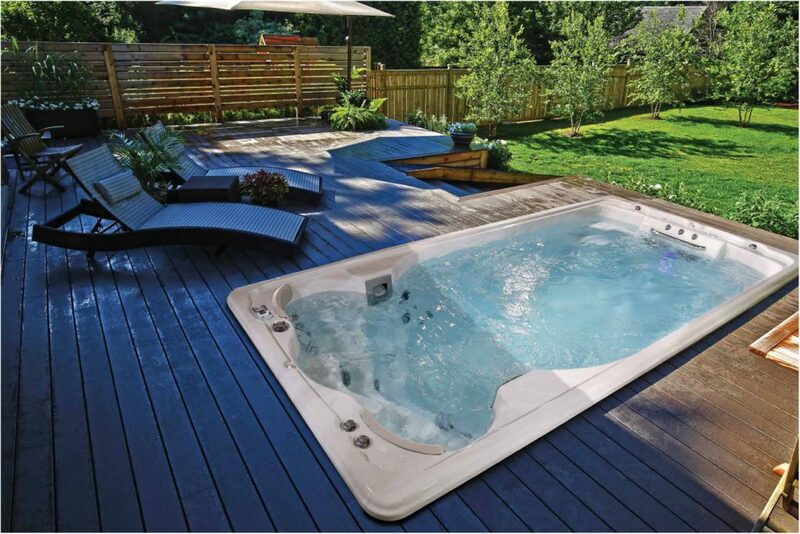 A hot tub is drained every 3 months so the water must be treated in order to keep it sanitary. 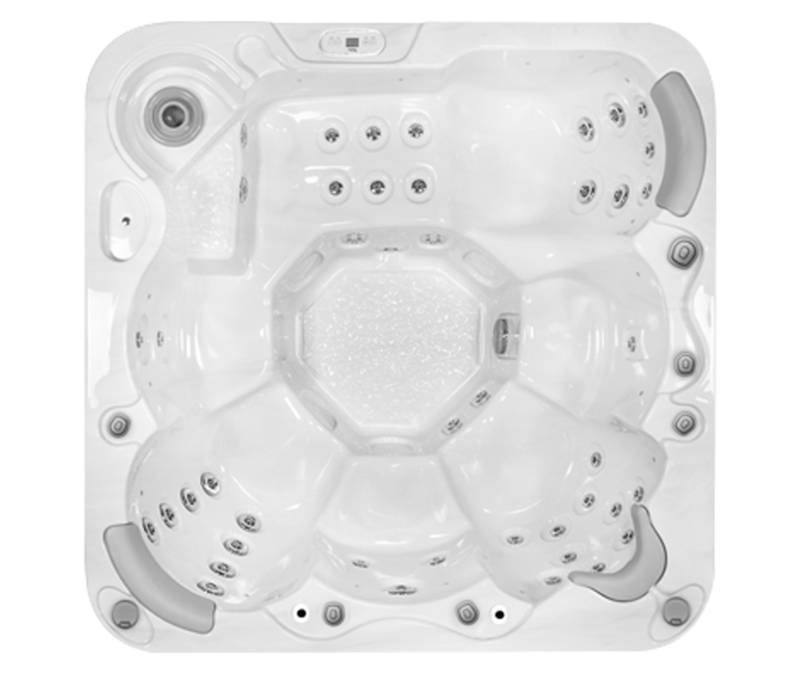 Hot tubs have built-in water heating systems, so they can be used outdoors, unlike a whirlpool batch which would go cold. 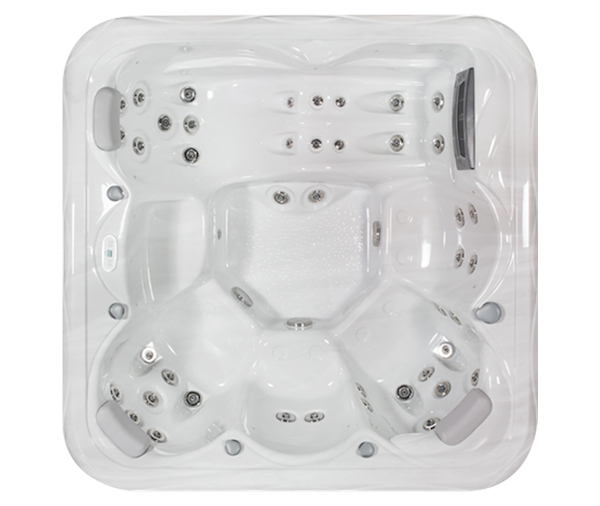 At Just Hot Tubs we sell both Just Hot Tubs and Jacuzzi branded tubs, both of which have their benefits. We’ve chosen these ranges as we believe they offer exceptional quality and functionality at a range of prices. 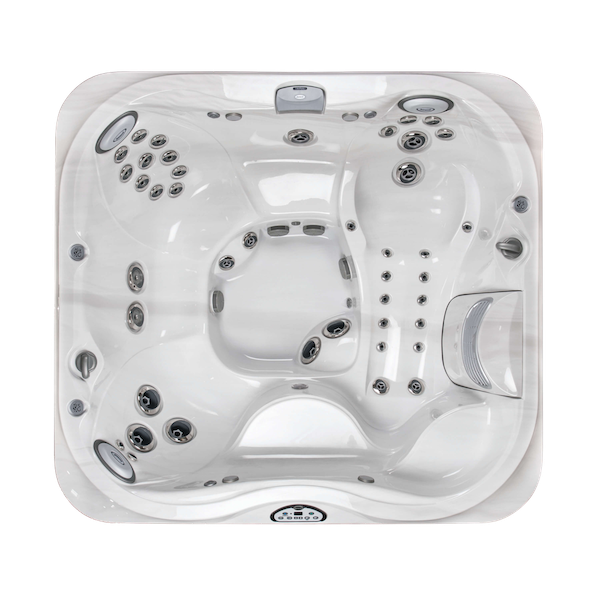 Whatever you’re looking for, chat to one of our friendly and knowledgeable members of staff and they’ll be able to find the right hot tub for you. Drop us a line now a one of the team will get back to you shortly.